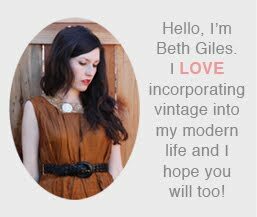 Vintage Clothing Blog | Vintage Wedding Dresses | Salvage Life: Coming Soon! I know it seems crazy considering the 100 degree weather (here in California), but fall is just around the corner. Since it will be here before we know it, I am stocking the shop with coats and dresses made of fabrics and colors suited for cooler temps. Here are some new arrivals you can expect to see later on today. This is another chance to win a gift certificate, so comment away. And don't forget to comment on the two previous posts as well! 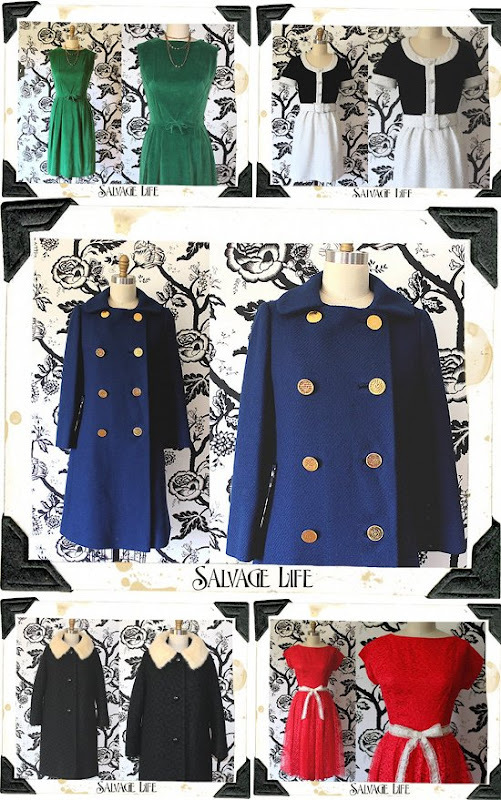 Drooling over that navy blue pea coat! I love the dresses too! Oh my gosh, the pea coat is cute, but that second coat is Amazing! Love your store and your blog! The peacoat is adorable! I'm diggin all the new stuff!!! so so so excited for Speakeasy! LOVE the blue coat! it feels like fall here in NY! You have such beautiful clothing in your Etsy shop...I'm especially in love with that red dress! !